Adding a new fence can offer privacy and security and can also increase your home’s value. Installing a fence is a fairly simple process, and usually consists of installing posts, rails, and pickets. 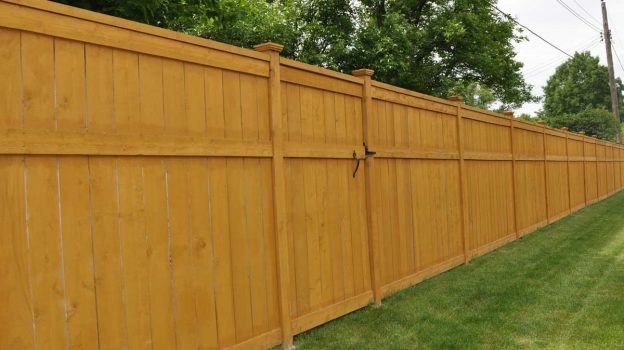 Many materials can be used for a fence, including vinyl, wood, and steel, but wood is on of the most economical options and looks fantastic. There are many styles to choose from, but the basic installation is pretty much the same. When planning a fence the first order of business is to define where the fence will go and identify how many linear feet of fence will be installed. The next step is to choose a style of fence, which will determine what type of rails and pickets you purchase. For example, there are solid board, shadowbox, stockade, picket, slip-board, and many more styles to choose from. Once you have a style in mind you can begin estimating materials. Find out how far apart your posts will be and then estimate the number of posts needed. Based on the number of posts, estimate how many rails will be needed to put between them and finally estimate the number of pickets needed. You can also use our fence calculator to calculate the post spacing and how many posts, rails, and pickets you will need. Installing a fence yourself can save significant labor costs, see how much having a professional install your fence will cost. Getting installation estimates can confirm how much you will save by tackling the project yourself or give you the option to hire someone to complete the work. The first step of the installation project is to lay out where the fence and all posts will go. 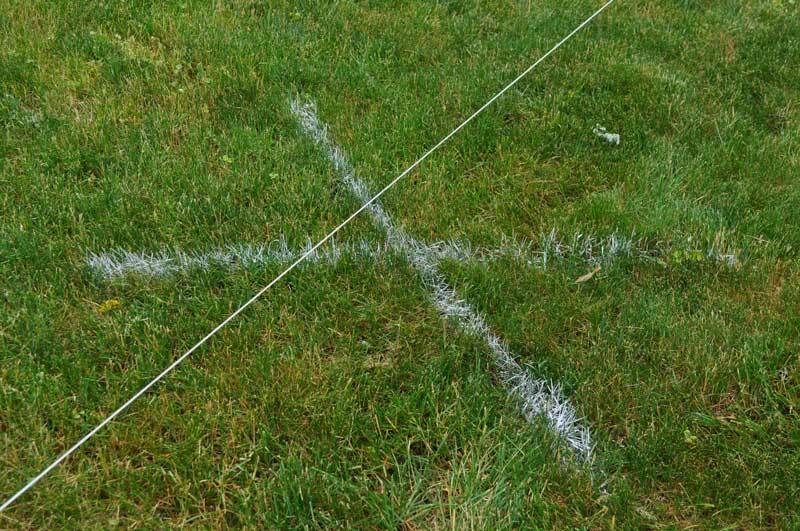 Use mason line to locate the perimeter of the fence and marking paint to locate all of the post holes. As soon as you start digging you will lose your center point, so draw an X and extend the lines about a foot off the center point of the post so you can locate the center point later after the hole is dug. See our in-depth guide to laying out a fence for detailed information on how to lay out the posts, find utilities, and get straight lines and perfectly square corners. The next step is to install all of the fence posts that the rails and pickets will eventually attach to to complete the fence. The most common type of post is a 4×4 pressure treated post or a 4×4 cedar post. Once all of the material has been acquired and the fence has been laid out, it’s time to start digging. First, call your utility companies or locating service such as 811 to ensure all utilities are marked out and follow any local safety or legal guidelines before digging. Use a post hole digger to dig down about 2-3 feet per post. Consider renting a post hole auger if you have many posts to dig. Remove excess dirt so it is not in your way for the rest of the project. It’s important that the posts are installed at least 2 feet deep, but for gate posts or posts that are taller than 6 feet the depth of the post should be at least 3 feet. Once the holes are dug it’s time to begin setting the posts. Start by adding 6″ of gravel to the hole to allow for drainage and to avoid rotting out the bottom of the posts. Next, place the post in the hole and locate it in the center of the X that was located earlier. Use a post level and 4′ level to ensure that the post is plumb in all directions. Add post setting concrete to the top of the hole and then add water, per the manufacturers instructions. At this point the posts will need to set for a period of time while the concrete cures. This varies based on the type of concrete purchased. Use our post hole concrete calculator to estimate the amount of concrete needed to set your posts. After the posts are set, cut them to an even height so the fence will be a consistent and even height. After the posts are set it is time to install the rails between each post and then the pickets. Depending on your style you can install the rails between the posts, making the rails flush to the outside of the post, or you can install the rails to the face of the posts, so they sit proud. We recommend cutting each rail to length by measuring each space individually, do not attempt to cut all rails at once as the spacing will vary slightly. Use a drill to screw the rails into the posts. After the rails are all installed attach the pickets to achieve the design you planned out. For a solid board fence attach each picket tight to the previous one on the outside of the fence. Use a drill to screw each picket to the rails. Large pickets may require 2-3 screws per rail while a small picket may require only 1 screw per rail. The next step in the fence installation process is to add gates. Start by building your gates, make them about 1/2″ to 1″ smaller than the openings to allow them to swing easily. Construct a frame and add a Z brace to prevent the gate from sagging later. Add pickets to match the rest of the fence. Add hinges and attach the gate to the post. Add locking hardware to allow the gate to remain shut and locked if needed. The final step to the fence installation is to add finish. You may need to wait 30 days for the lumber to dry out for a better finish. Add stain or paint to the desired color. Small fences may be brushed and rolled, but consider renting a paint sprayer for larger projects. Learn more about how much it costs to paint or stain your fence. See our fence installation pro tips for more great information and to ensure your installation project goes smoothly.